When the weather outside is frightful, going door to door to see homes can feel like a fool’s errand. Everyone knows that spring and summer are the most active home buying months. When winter comes around, you and other sellers just want to chill and take a break, right? We are here today to show you five reasons why winter is actually the most “chill” time to buy a home. 1. There’s less competition. Not everyone is willing to look at homes in winter. May, June, and July do make up 40% of home sales while January and February account for 6% or less, and sure, more summer inventory might give you a better chance at finding that dream home. However, the chances of actually buying a home increase during these slower months. Fewer buyers in the market means fewer all-cash offers and offers over asking price. This makes your traditional financing offer a little more appealing and makes it a lot easier for you to purchase a home. 2. Sellers are motivated. Most sellers who have their home on the market during this time of year are looking to make a move fast. This gives buyers an upper hand. 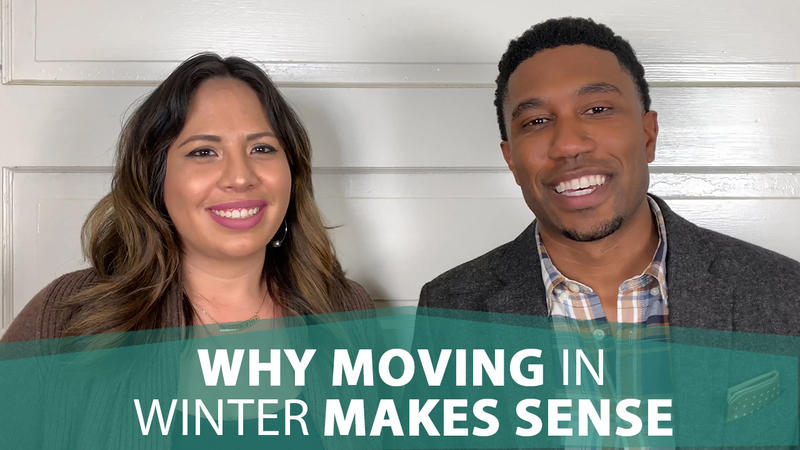 Homes in the winter tend to stay on the market a little longer than average, so it gives you a great opportunity to get that perfect home for a lot less than you would if you were to buy at a different time of year. However, beware that just because sellers are motivated doesn’t mean you should lowball them. Talk to your Realtor(s) to come up with a negotiation game plan. 3. The best time to evaluate a house. The winter months are some of the harshest months of the year. This gives you the opportunity to see a home under the worst conditions and on its worst days. If it checks out during this time of year, it will definitely check out during the spring and summer. 4. Hiring movers is easier. Moving during the winter isn’t easy. If you’ve done it before, as we have, you know it can be a headache. However, moving is a bit more logistically simpler just because movers are less busy during this time of year. Because of that chill in demand, you might be able to negotiate a better rate. Just beware that you may have to reschedule due to weather if you’re unlucky. 5. Realtors and lenders have more time for you. Due to the lack of buyers in the market, your Realtor and your lender will have more time to focus on your specific home purchase. If you have any questions for us about these moving tips or about anything else related to real estate, don’t hesitate to give me a call or send me an email. I look forward to hearing from you soon.